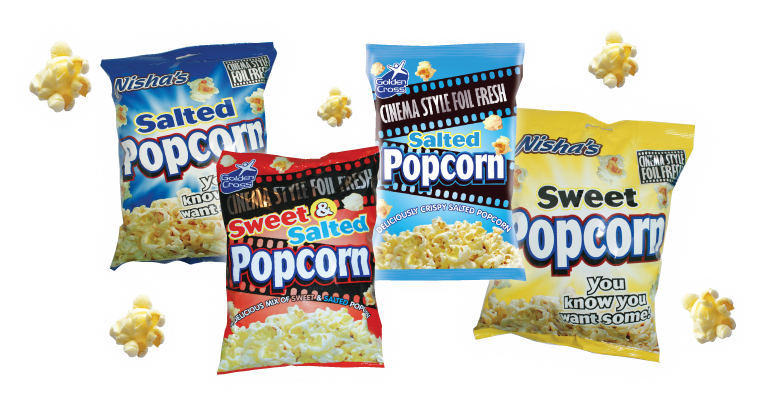 Endulge in our foil fresh Nisha & Golden Cross Popcorn varieties. From 90g to 200g... for big get together sharing! Enjoy our classic Sweet, Salted, Sweet and Salted or Toffee.